Boys Arnold Wealth Management -- will help you increase your nest egg with multiple investment alternatives all vetted-out with their experts and with proven track records. They can help you with tax strategies, setting up trusts, charitable giving, and special beneficiaries, too. Check them out on their website, or you can contact them by phone at 828 274 1542. Biltmore Winery -- creates the Biltmore wines that have evolved into an award-winning collection, with conventional selections such as Chardonnay and Merlot, to specialty wines, such as the Biltmore Century and Christmas at Biltmore (trade marked) wines. For more information, please contact them through their website, or through the main Biltmore number (877-BILTMORE -- that is, 877-245-8667). Cavalor -- Since 1989, Cavalor has built an international reputation as the world leader in equine nutrition by providing a solution for every horse’s needs, from a foal’s first steps to retirement, and for the top performing equine athlete to the treasured backyard horse. They have developed a complete line of equine feed, supplements, and care products for "when the result counts". For further information, check out their website, email them or call 855-228-2567. Wild Side Tights -- Cindy Young hand tailors her fantastic riding tights to each riders measurements. The insets make them totally 'yours'. Check it our on her website, and give her a call at 502-376-4288 or email her at yngdsn@bellsouth.net. Country Aire Farm -- Mary Coleman has a variety of cute things and ad-hoc rider supplies for that last minute need. She has donated the turtle awards. Mountain Farrier --- donates hand forged hoof picks for team awards. Mast General Store -- is a great source for clothing (wicking, sun blocking, .... ) and dry goods of almost infinite variety, right here in Asheville. A wonderful place to shop! 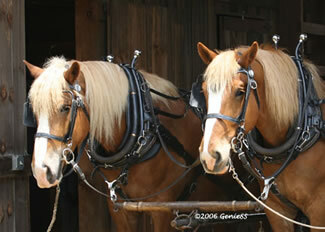 Shadow Tree -- is an on-line store with great things for horse and rider -- from the barn through the home. Lots of great and innovative items. Check them out. They donated two insulated horse-themed lunch boxes and a robust, turquoise walk-bottle.